Every school in the nation, or nearly every state and district, is in one way, shape, or form switching to common core. Some states are doing their own version, but nearly all states have adopted the national standards. What does that mean for homeschooled students? Since most homeschool students still have to take some state assessments, and since those assessments will be soon – if they are not already – aligned to the new national standards instead of old state standards, what is being taught at home might not be adequate anymore. Students might take those state tests and be unprepared for them. The changes might not seem too deep on the surface, but they have reexamined and realigned the way in which students learn, especially the WHEN part of that equation, even if teachers still have some freedom as to the HOW. 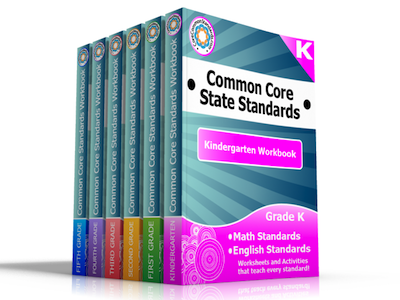 Our common core standards workbooks fit into any program. Some might use it as a supplement or as additional practice, but it also works for remediation, or as a core educational material to be supplemented with homeschool lessons and research projects. Take a look at our free samples to see if what we have fits with your homeschool student’s learning.